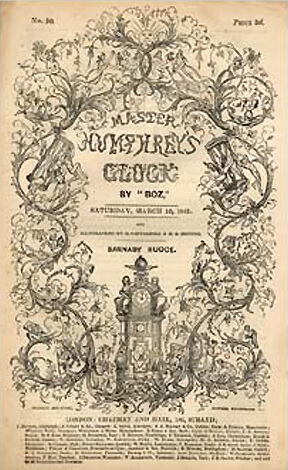 The Old Curiosity Shop was first published along with his short stories in Dickens' weekly serial, Master Humphrey's Clock between 1840-1841. The work was so popular, New York readers mobbed the wharf when its final installment was delivered from England in 1841. The installments was published as a novel later that year.